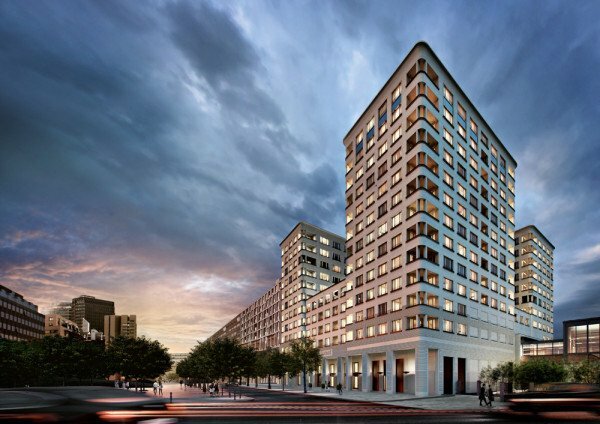 This exclusive new building will arise on the last plot in Potsdamer Platz. At this place a representative property with more than 160 condominiums is realized, which are located between the 4th to 13th floors. 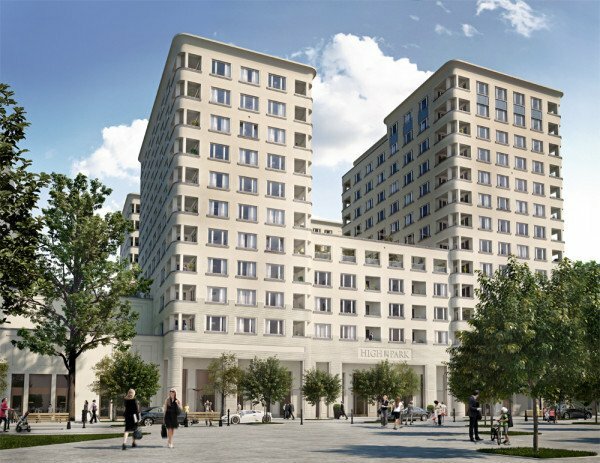 The station Mendelssohn-Bartholdy-Park will be built over – the ensemble receives its own access. In height of the fourth floor a park-like patio will arise which is accessible above the various building complexes. With its two towers it is a unique building with big city flair. 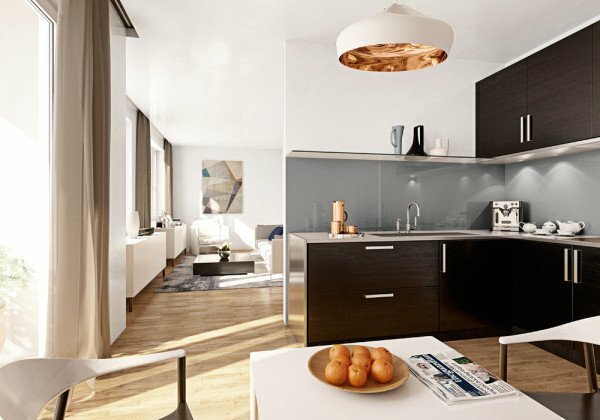 Apartments with 2 to 6 rooms and surfaces of 31 m² to 270 m² will develop. Whether you decide for a penthouse with extensive roof terrace or an amazing small apartment with south-facing balcony, in each case, the apartments are equipped with exclusive and high-quality equipment. The Potsdamer Platz has a legendary historical name. In the 1920s it was the busiest square in Europe. During the division of Germany, Potsdamer Platz was not as busy as before. After the reunion the most modern district of Germany was arise. If you want to enjoy the life in Berlin to the fullest, then you are exactly right on Potsdamer Platz. Cinemas, top restaurants, the Philharmonie and the Kulturforum and also Berlin’s Casino – everything is situated in your immediate vicinity. The zoo and the park at Gleisdreieck invite you to relax. The equipment of the units will have the highest standards. Natürlich nur Materialien von höchster Qualität sind vorhanden. The floors are designed with high quality oak wood flooring and floor heating. All south-facing windows receive an electrically controlled sun protection. At least each unit is equipped with one balcony or loggia, the larger apartments with terrace. Your security in the apartments will be proteced via an intelligent elevator control, a master key system, an electronic chip system and a safety bell system. For daily errands and maintenance of the building an in-house concierge service is provided.